This study introduces a suitable method to break down national trade data to the regional level. This allows producing trade indicators at the regional level, revealed export advantages in particular. Identifying industries in which a region realises a strong trade specialisation plays a twofold role in industrial and regional policy-making. Firstly, identifying successful structures at the industry-region level helps to improve the understanding of micro- and meso-foundations for competitiveness as well as scope and cases for policy intervention. Secondly, knowledge of the spatial distribution of competitive industries and required location factors is necessary for differentiated perspectives on future economic development and the choice of policy instruments. The study applies descriptive, econometric and case study analysis to identify regional patterns of trade specialisation, as well as region- and industry-specific factors related to success in international markets. 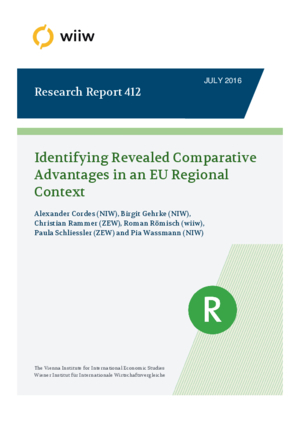 Based on the results obtained, the study develops conclusions for EU regional and smart specialisation policies.